Aitech serves the world-wide defense, aerospace and space electronics embedded computing markets. Founded in 1983, Aitech has a long, rich history of providing systems integrators and OEMs with products for the development and deployment of specialized, high-performance, real-time subsystems. The company's products, optimized for a wide variety of military, aerospace, low and high earth orbit space vehicles and industrial applications, are in active use by customers worldwide, including Argon ST, ATK, BAE Systems, Boeing, British Aerospace, Elta, Fujitsu, General Atomics, General Dynamics, IAI, JRC, Lockheed Martin, L-3 Communications, Mitsubishi, Northrop Grumman, Orbcomm, Raytheon, Rockwell Collins, Smiths Industries, Space-X, Titan, Toshiba and many others. The company also offers program-oriented, Earned Value Management (EVM), full logistics, maintenance, P3I (Pre-Planned Product Improvement) with technology insertion, build-to-print and complete customization services and subsystems integration services. 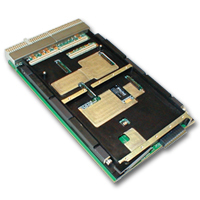 Aitech was the first in the world to develop and deliver true military SAVA (Standard Army Vetronics Architecture) compliant, 6U x 160 mm VMEbus SBCs in 1985, a full three years before anyone serving this new and emerging market. The company was also the first company to supply and internally radiation-qualify multiple VMEbus products for use on the International Space Station (ISS). And the more than 100 SBCs and MPEG-2 encoder/decoder PMC and Ethernet hub mezzanine cards on the ISS are still in use today. Aitech also developed the first true rad-tolerant, 3U CompactPCI PowerPC COTS embedded computing products with triple memory redundancy for use in Earth-orbit satellite and manned space vehicle applications. 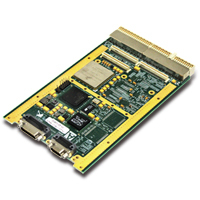 Today, Aitech continues to lead the industry in performance and innovation for real-time, hard deadline, embedded computing systems with a particular emphasis on providing the highest on-board functionality, widest temperature range and low power consumption for harsh environment and mission-critical applications. And Aitech's unique COTS Lifecycle+™ program ensures that products will not become obsolete due to component obsolescence for at least 12 years from the product's "born-on" date. In addition to being ISO 9001:2008 and SAE AS9100:2009 certified, Aitech is a certified JPL supplier per NASA manned space flight quality standards and is approved as a Boeing supplier per Boeing D6-82479, Addendum 2 and Appendix A.
Aitech is a leading developer of commercial and ruggedized, COTS industry standards-based VMEbus and CompactPCI hardware and software boards as well as integrated subsystem solutions, including the highly popular QorIQ PowerPC™ and Intel® Pentium™ Core™2 Duo, Core i5 and Core i7 families of microprocessors. Aitech also provides the necessary software, integration and services for the development, integration and long-term support needed for complex space and military applications. Tel: +1 888 248-3248 .